Jesus once asked his disciples, "Who do you say that I am?" (see Mark 8:27-30). Today, Jesus asks us in the Holy Spirit, who are you? Who is God for you? Who are we together? First UMC Middletown adult study groups offer people from all walks of life and faith perspectives ways to help answer these questions in their own lives, and to build stronger bonds of fellowship with people who are developing their own faith. 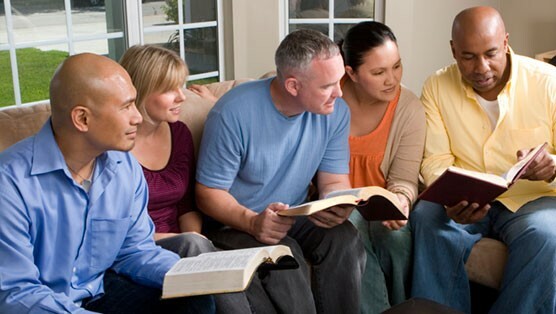 You need not be a person of faith or a Bible "expert" to participate in our groups - in fact, we encourage people who feel that the Bible has been hard for them to accept or to understand to try our study groups as a safe and rewarding way to be respected as you enjoy the company of others.